Growing Futures is a statewide system designed to support rewarding and successful careers in the field of early care and education by validating individual professional achievements, heightening professionalism, and expanding career opportunities. Growing Futures is for you if you administer or provide direct care to children in licensed child care programs (both family/group and center), Head Start, Pre-K and public schools, and other settings serving children 0–8 years of age. Growing Futures is also designed for individuals who impact early care and education through community-based training and higher education. 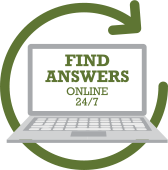 Your go-to source for recording, tracking, and maintaining your training and educational information as well as your Career Pathways category. You can manage your own information online at any time and print your training record. Because the Registry is the official database of the Growing Futures professional development system, the information maintained in it is verified and reliable. You must be a Growing Futures member to access your complete learning record. The trainer’s registry is a database of all approved trainers in the state, including trainer level and approved delivery content. Growing Futures approved trainers can choose to have their name advertised online in the Trainer’s Directory to be available to any organization in the state looking for their skill level and content expertise. Only approved trainers may provide Career Pathways training. The online training calendar is a list of all currently available approved training in the state. Only approved training may be applied toward child care license renewal or Career Pathways placement. You can search for training specific to your career position, the age group you work with, type of training, or training offered in your region of the state. Your information is safe with us. The Growing Futures Registry has in place a secure system to protect your sensitive data and to maintain the integrity of the system.